Backup, Recovery, and Media Services (BRMS) is a critical component of your operations. BRMS helps you manage backups and restore accurate information when a recovery is necessary. Now you can consolidate and monitor data from all your BRMS environments on a dashboard in Insite Analytics. Instantly see failed backups, unsaved objects, and expired media. Then, drill down into the details to further investigate. You can also create custom dashboards to monitor all BRMS backups or just specific systems. 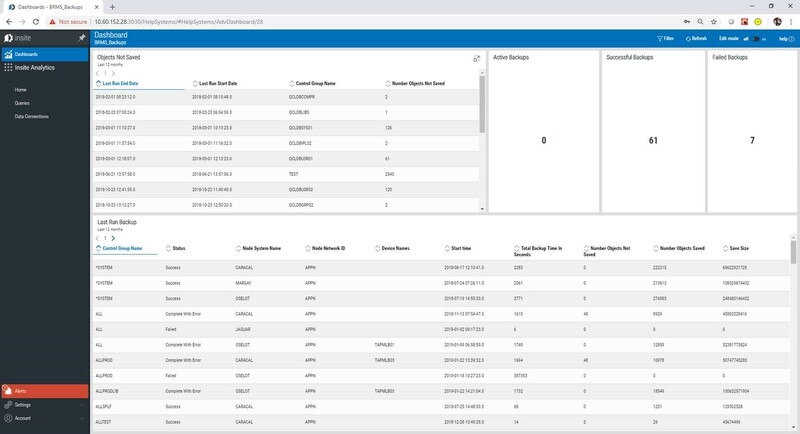 Aggregate backup tape operations data into a single dashboard, so you no longer have to monitor systems individually. Insite Analytics provides a unified view that saves you time hunting for issues system by system. See alerts when a backup process has failed and where that failure is happening. Insite Analytics lets you know which tapes need to be pulled and which can remain in place in real time. Dramatically reduce the amount of time you need to identify and diagnose backup process issues. Insite Analytics lets you drill down into failed backups, objects not saved, and expired media, so you can resolve issues fast. 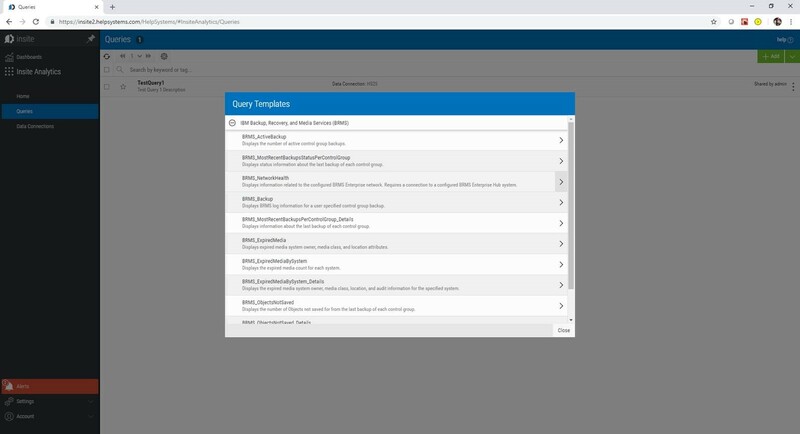 11 BRMS query templates and 2 BRMS dashboards templates will have data from your BRMS environments consolidated into Insite Analytics in minutes. Monitor your backups and see when a backup process has failed and where that failure is happening. Investigate details on failed backups, objects not saved, expired media, and more. 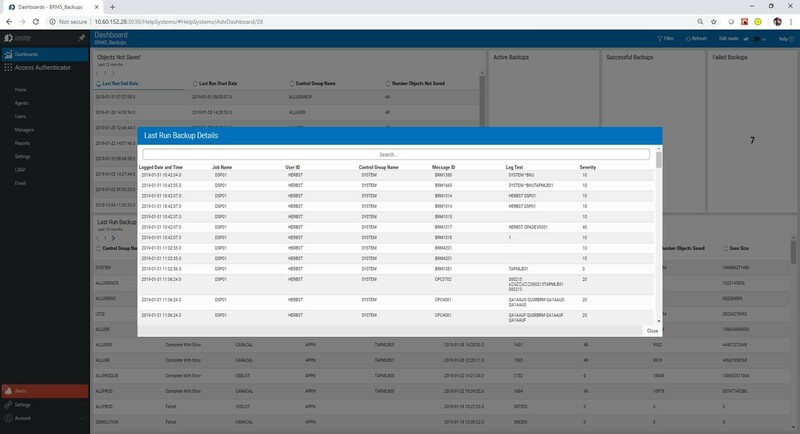 Insite Analytics has a SQL Query builder and Dashboard Creator Query so you can easily create a dashboard that's perfect for your business and even display data from other data sources on the same dashboard securely. Share the data only with the intended audience. 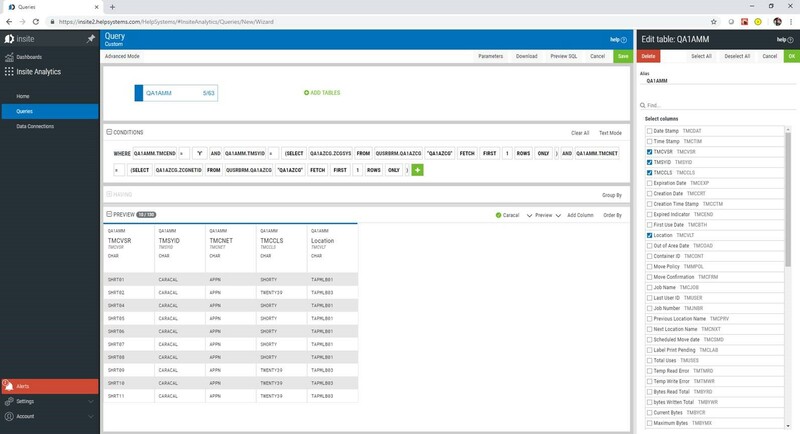 See how you can dramatically reduce the amount of time needed to identify and diagnose BRMS backup process issues with Insite Analytics.